My So- Called Handmade Life: A Little More on my Kimono-style Cardigan. A Little More on my Kimono-style Cardigan. 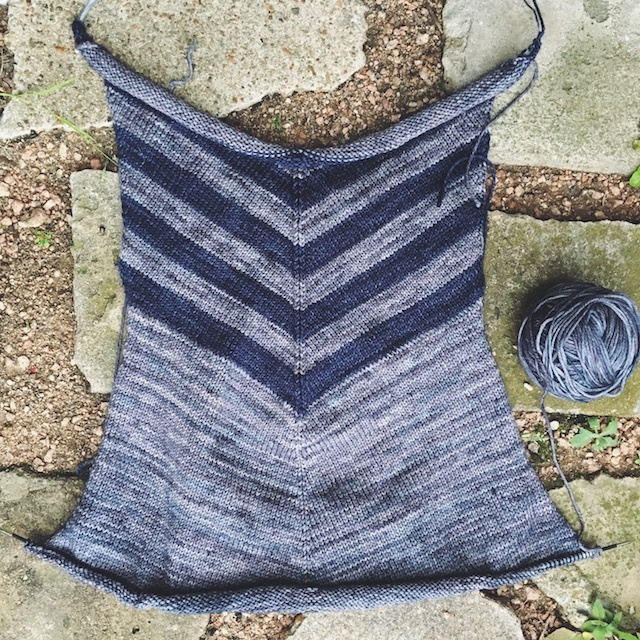 As you can see, I've been slowly working away at all of my KAL sweaters the last two weeks. 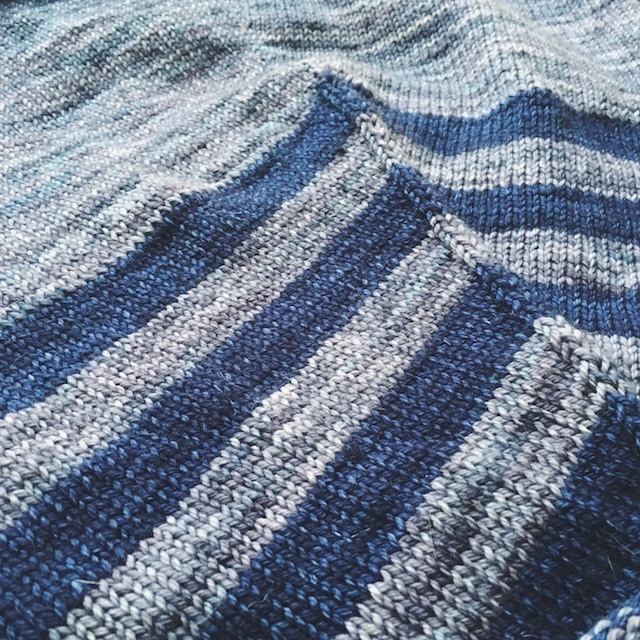 The Thing to Wear Cardigan is for the Holla Knits KAL 2016, which has a few more weeks left to it. So I should be good. I do wish someone else was posting about knitting it too. It's not that I am having trouble and could use a second opinion, it's just that it's nice to see other people's versions working up at the same time. I picked up for my lower back and knit to the required length. 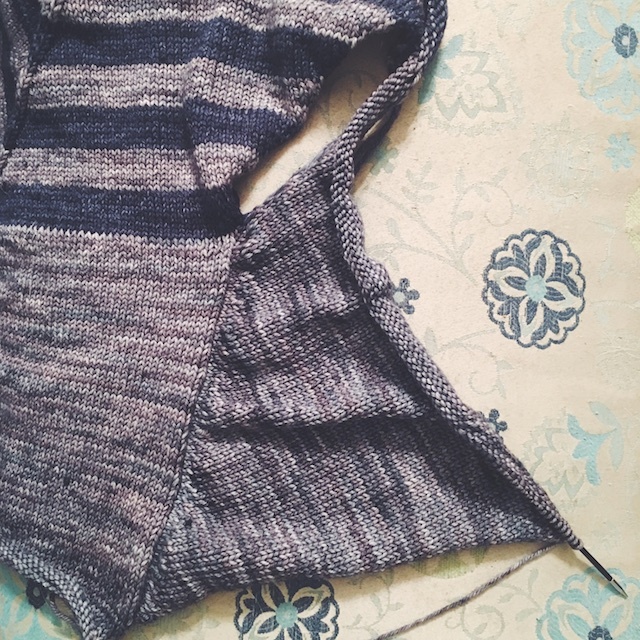 All of my measurements and gauge checks out, taking into account that my swatch grew a little with blocking. But, wow, this seemed so small. But that's always how it is with stockinette knits that curl under every which way. You can see, below, that the construction is so different and it is scrunched up on the needles. This is the right side before it was finished. Now that it's on scrap yarn, waiting for the band, I can pull it out and try to unroll it for a better idea of fit. It looks like it will be long enough. Remember, it grew with blocking. Also, the armhole was plenty big enough. That's often an issue for me, so that one fact gave me confidence to start on the left side. Which is now finished. Actually, even if the whole thing was more fitted (with the exception of the armhole) than the sample, it would still be really cute. But I think adding sleeves and the band will pull things into place nicely. I really look forward to this knit each evening!